Burdette Davis, age 99, of Aurora, passed away on Wednesday, December 6, 2017, at Hamilton Manor. A Memorial Service will be held at 10:00 A.M. Saturday, December 9th at St. John Lutheran Church at Kronborg. Pastor Kristine Schroeder will officiate. Inurnment will be at a later date at the St. Paul Cemetery. Burdette donated her body to science. In lieu of flowers, memorials may be made to the family or St. John’s Lutheran Church. Condolences may be e-mailed to the family through the mortuary website at www.higbymortuary.com. 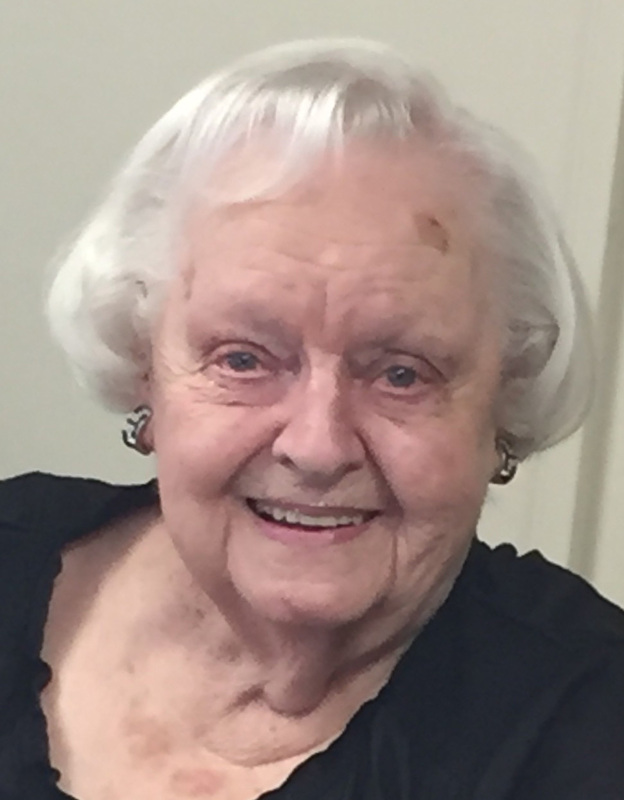 Burdette Petrea Davis, the daughter of Jack and Olga (Johnson) Nielsen, was born at Lindsay, Nebraska on August 4, 1918 and passed away in Aurora, Nebraska on December 6, 2017, at the age of 99. She grew up in several locations as her family moved to find work. Parts of her growing up years were spent in a sod house near Burlington, Colorado. After the Depression her family settled in St. Paul where Burdette graduated from high school and met Les Davis. Burdette married Les Davis on July 31, 1939 at Los Angeles, California. Les passed away on November 17, 1995. Burdette enjoyed wearing hats and sitting on bleachers following and supporting her brothers, husband, children, grand children and great grand children in marching band, concerts, track meets and all kinds of ball games. She was preceded in death by her parents; husband; sons, Bob Davis and Rick Davis, daughter, LuAnn Sundberg; granddaughter, Shelly Jacobsen; brother, Gordon Nielsen; sister, Nadine Prince; sister-in-law, Jean Nielsen; brother-in-law, Larry Prince; nephew, Danny Prince and niece, Linda Lassen. Those left to cherish her memory are her three children, Sherry (Steve) Jacobsen of Marquette, Jack (Emmy) Davis of Dannebrog, Nebraska and Becky (Pat) Shaw of Aurora; son-in-law, Roger Sundberg of Omaha; 14 grandchildren; 33 great-grandchildren, brother and sister-in-law, Rich and LaVonne Nielsen, brother, Walt Nielsen, sister-in-law Della Nielsen and many nieces, nephews (Jack’s Pack) and other relatives and friends.